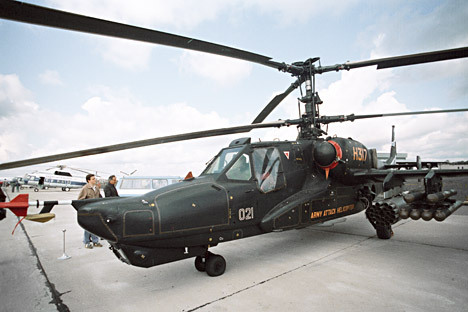 The Kamov factory’s achievements in the sphere of helicopter design are second only to the pioneering Mil plant. Going on to become the second pillar of Russia’s helicopter development, the Kamov plant has moved from being a specialist in building reconnaissance craft to a leading producer of attack helicopters. Although Nikolai Kamov’s helicopter design bureau was, in some respects, eclipsed by the pioneering work done by the Mil plant, headed by the engineer Mikhail Mil, Kamov was responsible for designing classics like the Mi-8, and was the other major driving force in the sector’s massive growth from the 1940s. A native of Siberia’s Irkutsk Region and the son of a teacher, Kamov was widely regarded as a man of the people. Nothing really foretold his rise to become one of the greatest engineers of helicopter manufacturing history. Construction of propeller-driven aircraft in the Soviet Union of the 1920s was the work of individuals, and done in difficult, basic conditions. Unlikely workshops like those gave rise to the future Kamov factory. The 27-year-old Kamov built the first Soviet autogyro reduced helicopter in 1929. The immediate practical use of this was negligible, but this potential game-changer in aviation technology gradually attracted attention. Kamov gyros were used in agriculture, particularly in mountainous areas where conventional aircraft were ineffective.